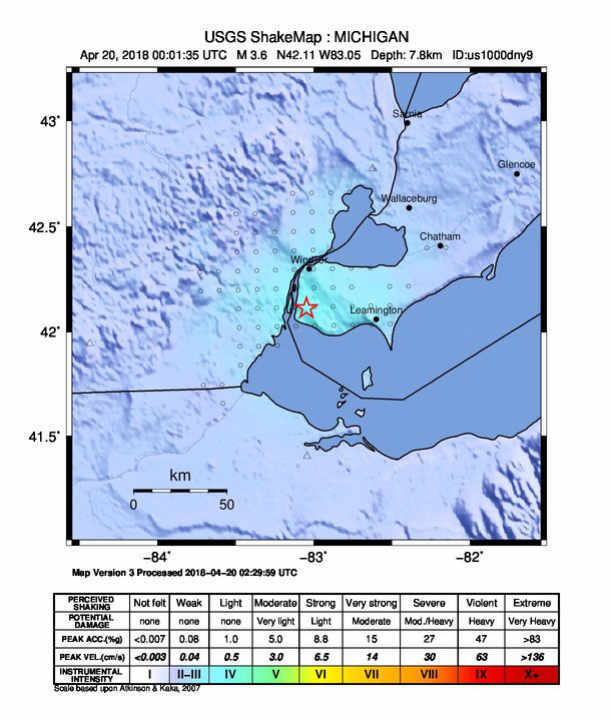 On Thursday, April 19th, 2018 in the evening, at eight p.m., in Detroit, Michigan a 3.6 magnitude earthquake struck the region. The 3.6 quake struck near Amherstburg, Ontario, Canada, according to the United States Geological Survey. Amherstburg is about 20 miles from downtown Detroit. According to the National Weather Service, there are no reports of damage and it was reported as the strongest earthquake in Michigan in over sixty-seven years.